It's owned by sommelier Eric Mendoza, whose resume boasts The Baxter Inn, Bloodwood and Rockpool. Another day, another story about natural wine, with Pyrmont snagging itself a natural wine bar. Bar Clementine opened next door to Clementine's cafe in late March and it's slinging funky drops, aperitif-style cocktails and European share plates. Owner and sommelier Eric Mendoza really knows his grapes, having previously curated the award-winning wine lists at lauded Sydney venues Bloodwood and The Baxter Inn. Mendoza has also clocked in time at Rockpool and Melbourne's MoVida. Oh, and did we mention that he makes his own vermouth? 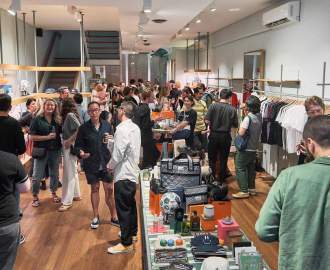 "The focus will be on authenticity and intention, which can often be lost in the hedonism of Sydney," says Mendoza. Plenty of experimental labels from around the country and the world will be on display at Bar Clementine, though more accessible drops have a place here as well. At the moment, there are Aussie bottles from Gippsland, Hunter Valley, Ballarat and Margaret River on offer, as well as varietals from France and Germany by the glass. Bottled beers and classic cocktails are also up for grabs, including dirty martinis and one called the Adonis — it's made from coffee-infused vermouth, sherry and orange bitters. 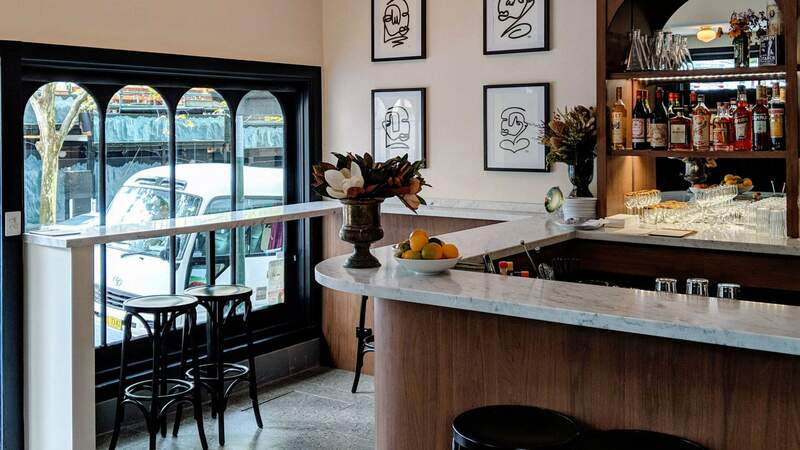 For eats, Mendoza has partnered with chef Craig Gray (ex-Neighbourhood Wine and Taxi Dining in Melbourne) who has created a menu of modern European fare. The food is, of course, tailored to pair with a glass of wine (or two). Expect a rather elevated version of the classic wine bar trio of cheese, charcuterie and share plates. The seasonal menu focuses on local produce with a smattering of Asian influence. 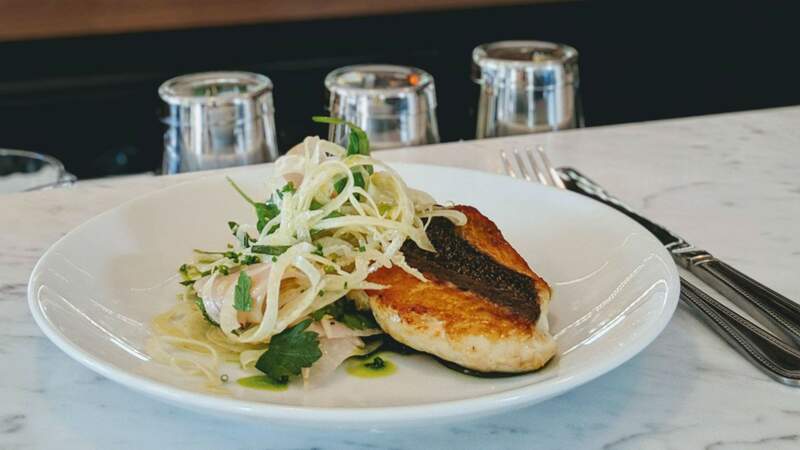 Think lunch items like Sydney rock oysters with eschallot mignonette, snapper with kohlrabi kraut and apple, and a beef flank paired with pommes frites. And for the dinner tasting menu, there's dishes such as celeriac churros, beetroot with nectarine, preserved lemon and hazelnut, and a chocolate tart topped with creme fraiche. The fit-out takes cues from Europe as well, with Parisian-style aplenty. Though a small space, it benefits from a large, street facing bay window which allows for heaps of natural light. Pull up a stool at the marble-topped bar — which extends all the way to the window — and get stuck in. Bar Clementine is now open at 52 Harris Street, Pyrmont. Opening hours are Wednesday through Saturday from noon–9pm.